Photos from Dutch suburbs and countryside by Marven Norman. Second in a two-part series about Dutch suburbs. Photo from Indianapolis: Michael Andersen, PeopleForBikes. I’ve seen it myself numerous times: the bicycle drivers solely demand “Bicycles May Use Full Lane” signs and sharrows while shunning any and everything else exclusively for bikes. Meanwhile, the planners and engineers are hearing from the rest of society that they want “more bike lanes.” But without any valuable input about design features, they resort to their books … and garbage appears. Instead, it’s long past time for the more experienced riders to adopt an approach of pragmatism. 2) When true Dutch designs are adopted, “protected bike lanes slow me down” doesn’t stand up. Good bike infrastructure is designed for speed. It’s unfortunate that many Americans are afraid of the Dutch CROW manual, which is already a great document for how we could do things. Even if a clueless intern designed something straight out of the book, the results would be palatable for 90 percent of bike users and 95 percent of their needs. The CROW manual goes beyond the standards of the NACTO Urban Bikeway Design Guide calls for a design speed of 30 KPH for through routes and 40 KPH for those outside of cities or shared with mopeds. Those are roughly equal to the speeds that most riders would ever expect to reach in a typical journey on those segments, so that’s more than adequate. 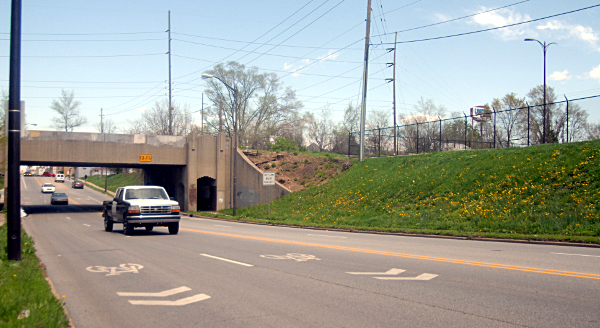 3) American bikeway planners should stop underemphasizing inter-urban trips. The reason that most U.S. planners (unfortunately) focus mostly on the short trips at the detriment of speed is because those are the journeys that make up the bulk of all trips. For all the sprawl of America, people don’t go very far at all. According to the data, a staggering 15 percent of driven trips are for no more than half a mile, a distance that could be easily walked by most people, to say nothing of biking. Obviously, that represents a huge opportunity on multiple fronts, so it’s no surprise to find that advocates are trying to lure people onto bikes for their short trips. When you look at Dutch data, you see that the lion’s share of Dutch biking occurs up to about two miles, then quickly loses out to cars after that point. In other words, most people in The Netherlands just don’t bike far at all. In fact, data from Portland shows that Americans might actually be willing to bike farther than the Dutch. However, those looking to bike far in The Netherlands are not left out of luck. They didn’t give them fancy names, but the Dutch have been building ‘bicycle superhighways’ for years. Stuff like this stretches across the country to connect the villages, towns, and cities. I tend to agree with those who say that interurban commuter trips is one place that American advocates are dropping the ball. At the same time, it’s worth noting in the Dutch ridership figures that only 16 percent of trips are for people riding to work. For all the hype about bike lockers and showers, they’re never going to give most American work commuters a strong enough incentive to bike all the way to work — though better transit systems and bike share might increase people who use bikes as a first-mile/last-mile solution. After getting people to bike short trips, those same people will be more inclined to not only ride more and farther, but to also be a more vocal partner in getting more improvements elsewhere, including R4-11s and sharrows. Biking advocates in the United States are already few enough. We’ll get farther and faster by sticking together. The 2014 Redlands Classic in California, USA. 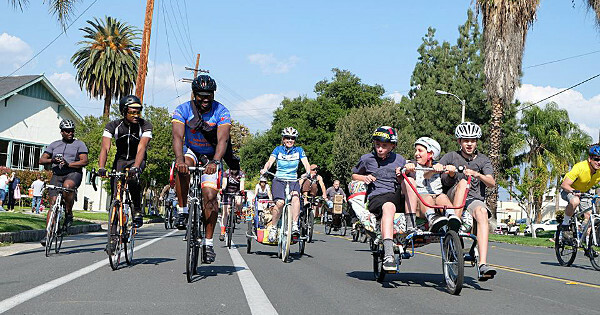 Marven Norman is president of the Inland Empire Bicycling Alliance. He lives in Loma Linda, Calif. This post was developed from a series of comments he wrote on Streetsblog USA.